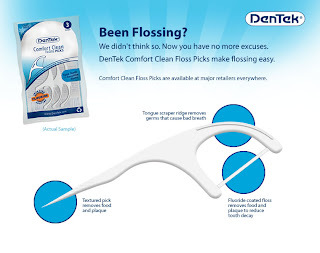 Free Dentek Floss Picks through Sample Social on Facebook. Go here for details. You have to become a Fan of Dentek and then a button will appear at the bottom of the page to get your free sample. This are great to have in your purse for when your out and can't floss (i.e., salad stuck in teeth on a date! ).